Love a shorts and heels look! I love that leopard portofino! 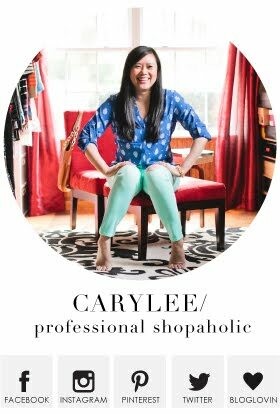 You look great Carylee! I really like the cobalt and leopard together! Great combo! 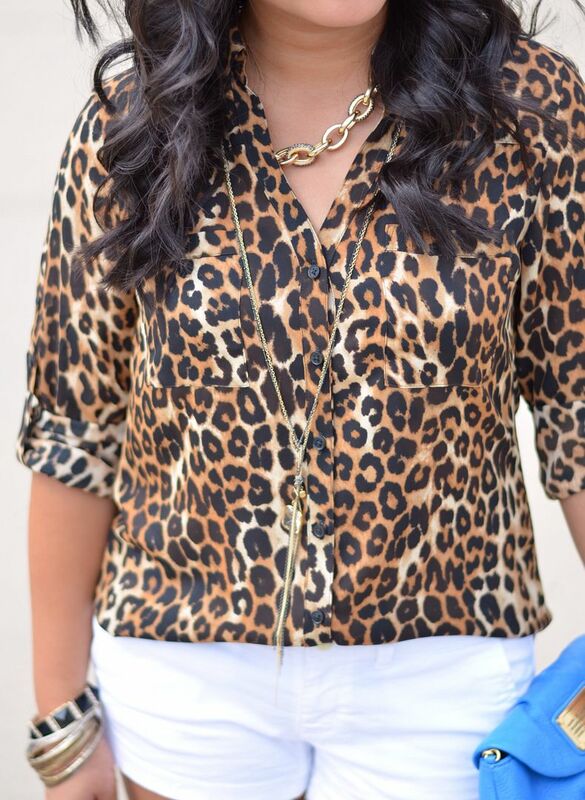 Leopard pairs so well with everything but cobalt is one of my faves! Thanks for reading!! Haha well I posted it as is more so out of sheer laziness! Oh well! It's not like I haven't done exact outfits of others in the past! And yes this necklace combo is the best! My two fave necklaces in one! So fun! Love this outfit....am actually wearing something similar today. I love that leopared portifiono! I had it on in the dressing room the other day and I am regretting that I put it down (esp after seeing this great look). 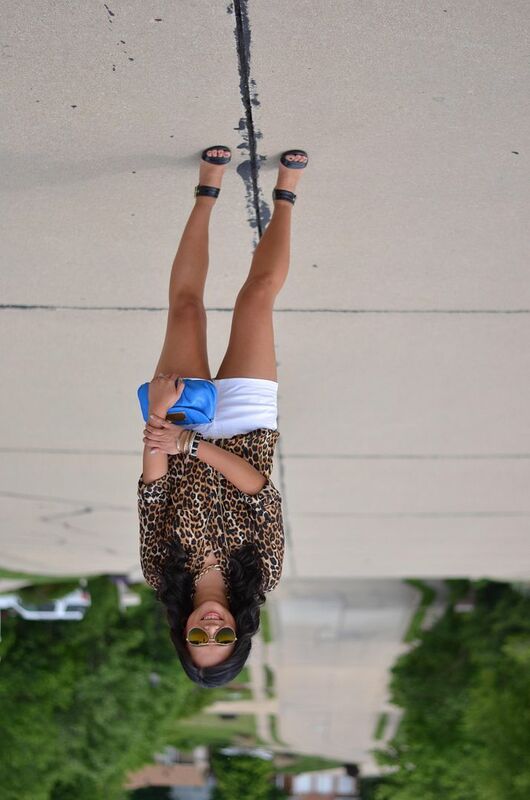 That cobalt bag is the perfect touch to this outfit! Love! It's such a great shirt, you will get a lot of use out of it! Love the leopard. Great choice to add the blue too! Thank you for the affirmation! You are so adorable! Love that blouse and the pop of color from your bag is great! 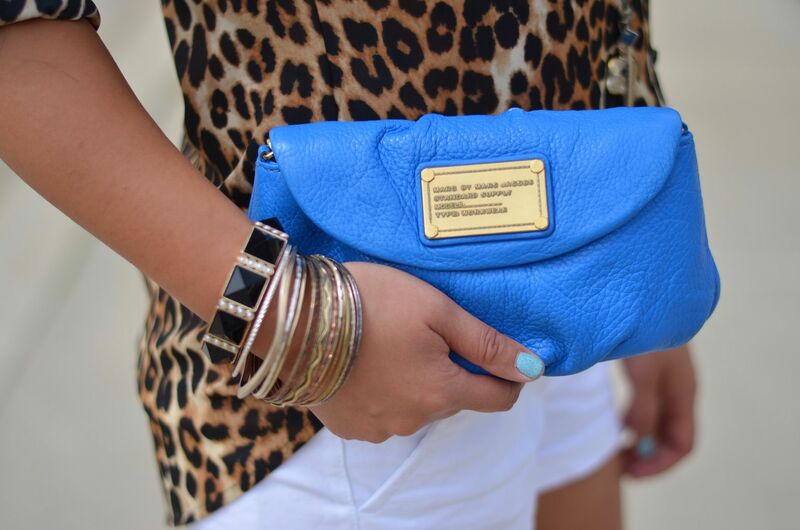 Love the leopard and white, and the touch of blue with the purse is perfect! You know I love leopard! I've paired it with blue before too, but I love it with the white shorts. Also, those gold oxfords are awesome!! I too want to wear more Shorts this Summer paired with heels. I have all the pieces to re-create this gorgeous look. Love the necklace and cobalt clutch. Beautiful! It's such a great combo! I love leopard! This look is great. 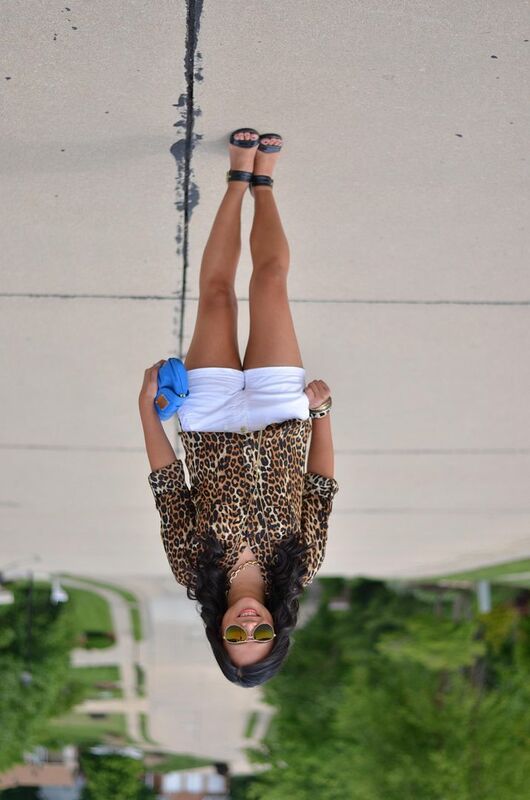 The shorts and heels look great together! An outfit is never complete without a bit of leopard! Lookin good! I like the addition of the blue - very eye catching! Glad we are on the same page!! The chino shorts from American Eagle are so super soft and comfy! I just love them! Good luck! And thank you! Animal print & white is definitely a great combination. It looks great with the pop of blue. Beautiful look! Love this outfit! Everything goes perfect with each other! Thank you! Leopard + cobalt is such a fave for me! I love wearing leopard. The jewelry and clutch looks great with the clutch. I appreciate it - thank you! Amazing how well leopard pairs with just anything! Well, I'm so flattered you took the time to get yourself caught up! Thank you so much!!! 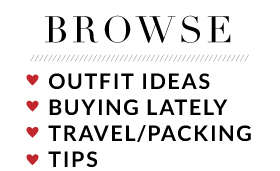 And you need a leopard blouse in your wardrobe for sure! !